2016 kicked off in high gear and the ICT sector in Kenya is full of expectations. The president recently made changes in the Cabinet which led to two industry insiders at the helm of the ministry as Cabinet secretary and principal secretary. The sector is hopeful the two will use their understanding of the industry to implement a raft of measures keen on spurring the sector. During the 2015/16 budget, the ICT ministry received Kshs. 11 Billion with key projects in the ministry such as Konza Techno City and Presidential Digital Talent receiving Kshs. 800 Million and Kshs. 250 Million respectively. That said, I expect the government to champion a few things to change the landscape. One of the promises of the Jubilee government has been the issuing of laptops to standard one pupils around the country. The project has stalled since 2013 owing to legal issues around the award of the tender. The Kenya ICT Authority is set to open tenders for the 17 Billion Jubilee Laptop project tomorrow. The government plans to issue the first set of devices to pupils in July with the second batch expected in September and November 2016. It will be interesting to see how the government plans to implement this project which will also serve as a model for Private-Public partnerships in ICT deals. A key highlight for the government in 2016 has been the deployment of e-Citizen services allowing Kenyans to access government services via the internet. Launched in August 2014, the eCitizen.go.ke portal allows one to access Ministry of Lands, Immigration to apply for passports, KRA, and other government departments including the NTSA to renew their driving licences. Payments for these services can be made through Safaricom’s Mobile Money service M-pesa. 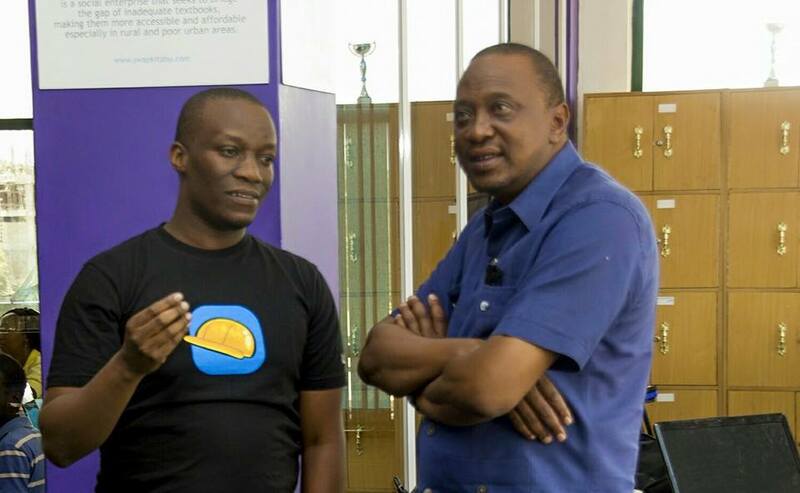 As of June, it was announced that over 400,000 Kenyans registered on the platform with 8,000 transactions performed. Revenue collections averaged Kshs. 10 Million daily. In 2016, we hope to see the government scale on deployment of e-government services from eVisa to applying for IDs, NSSF, NHIF as well as renewal of different services. During the 2015 annual budget, the government announced it was set to launch the Treasury Mobile Direct Programme in July 2015. The program sought to allow investors to invest in government securities through mobile devices. The government was to subsequently launch the M-Akiba bond to allow investors to purchase government securities for Kshs. 3,000 compared to the current Kshs. 50,000 threshold through their phones. Investors could invest as much as Sh140,000 for the income tax free bond. To invest potential investors needed to have a valid ID, dial *889# and follow the prompts and then purchase their bonds. The project is yet to take-off owing to delays by the National Treasury. We hope to see the project come to action and implementation in 2016. National broadcaster KBC is still sinking in debt, which has hampered its efforts to compete effectively against other players despite having massive coverage in Kenya. The advent of digital migration has not helped KBC’s case either as it faces competition for both content and audience with new and existing players. During his vetting, ICT Cabinet Secretary suggested the sale of prime land held by the broadcaster to facilitate its modernization and pay debts owed. He further suggested some of the equipment held at its facilities relocates to Konza City and the land put to good use with the private sector. If implemented these would give KBC the much needed traction to compete against other players in the industry. The government recently announced that it had digitized 100 inbound payment service transactions. Key among these services include payments for business registration, land transaction services, motor vehicle and additional services under the registration of persons, including birth and death certificates. The government announced plans to introduce 9 payment channels compliant with itax system thus allowing consumers pay for government services faster. These are developments we hope to see in 2016 go fully into action. The Kenya ICT Authority recently it had managed to connect all 47 counties to the fiber backbone. The connection was part of a project implemented through the national fiber backbone (NOFBI). The Kenya ICT Authority is now implementing phase 2 of the National Fibre Optic cable set for completion in June 2016. The second phase will also build a 500 KM dedicated fiber network for the military. Still, Fiber Optic outlay is low especially in residential areas. While part of the outlay provided under phase 1 is already in use by the national government, Telkom, Safaricom, Jamii Telecom and KENET, there needs to be more fiber optic access and outlay across the country.